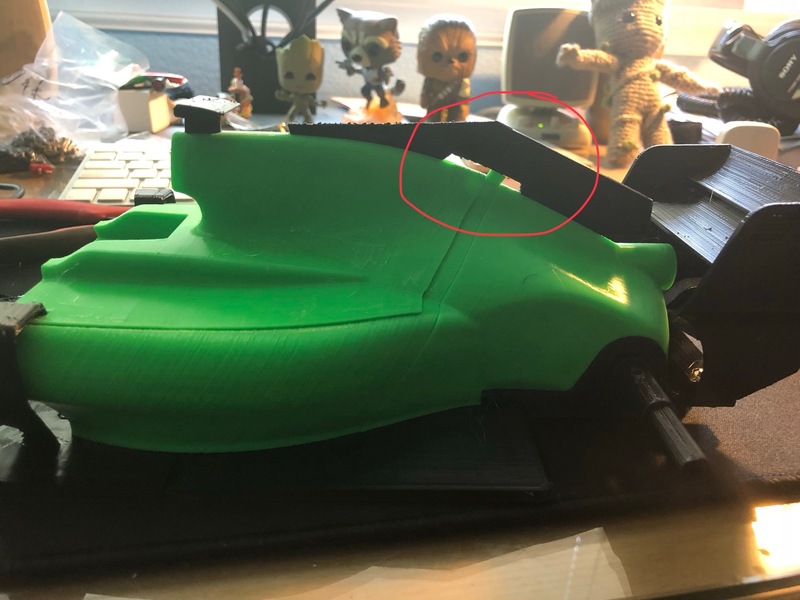 Hi All,I\’m working on my first Open RC F1 build and I\’m wondering if I missed an update to the middle body piece to account for the shark fin in the 2017 and 2018 designs. I\’ve attached a picture of mine with a weird nub in the middle of the shark fin that I wasn\’t expecting. It causes my fin to not seat as low as I expected. Any help would be appreciated! to keep the number of new parts needed down to a minimum i decided to not make a new "center piece" but simpliy cut of the part sticking out. More about the sharkfin update can be found in this video.